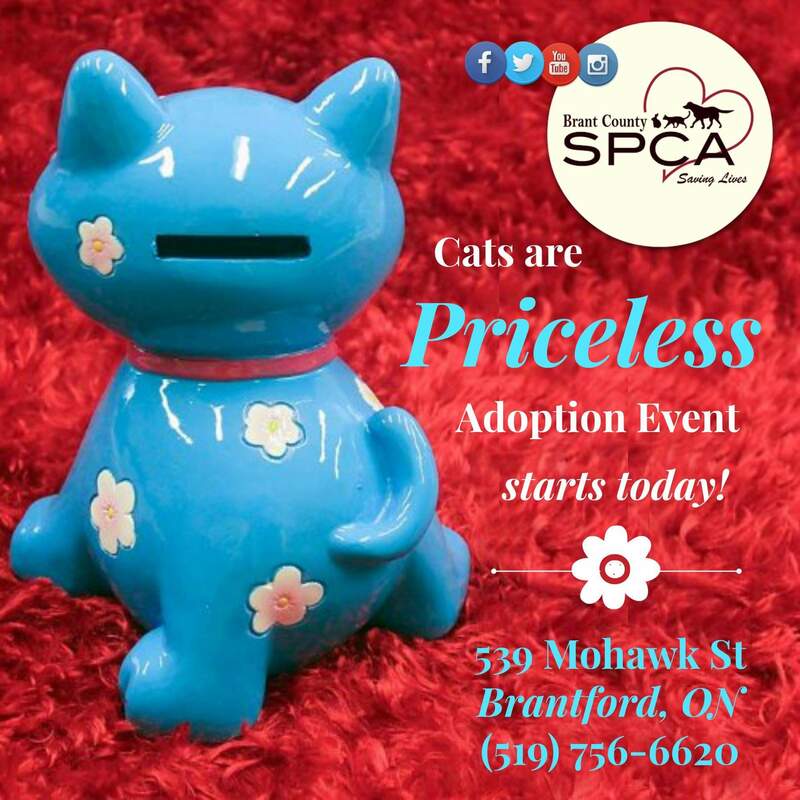 The Brantford Humane Society is offering a “Cats are Priceless” adoption event. All adoption costs are waved for adult cats. It will run until all the cats have been adopted.